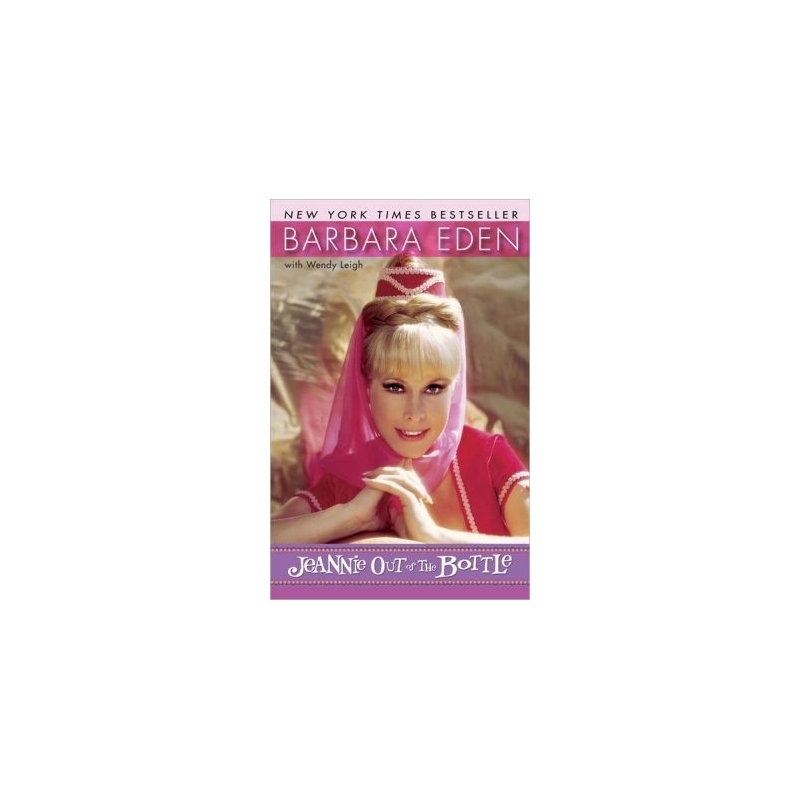 Over the past four decades, the landmark NBC hit television series I Dream of Jeannie has delighted generations of audiences and inspired untold numbers of teenage crushes on its beautiful blond star, Barbara Eden. Part pristine Hollywood princess and part classic bombshell, with innocence, strength, and comedic talent to spare, Barbara finally lets Jeannie out of her bottle to tell her whole story. 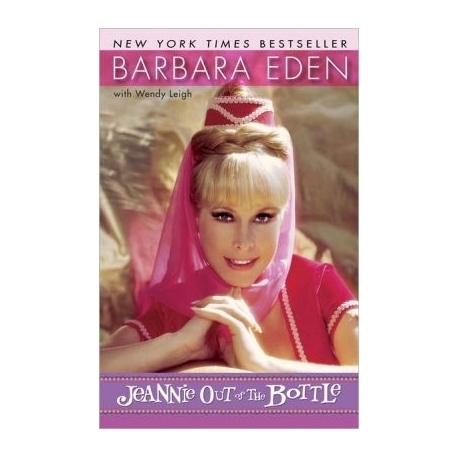 Jeannie Out of the Bottle takes us behind the scenes of I Dream of Jeannie as well as Barbara’s dozens of other stage, movie, television, and live concert performances. We follow her from the hungry years when she was a struggling studio contract player at 20th Century Fox through difficult weeks trying to survive as a chorus girl at Ciro’s Sunset Strip supper club, from a stint as Johnny Carson’s sidekick on live TV to tangling on-screen and off with some of Hollywood’s most desirable leading men, including Elvis Presley, Clint Eastwood, Paul Newman, and Warren Beatty. From the ups and downs of her relationship with her Jeannie co-star Larry Hagman to a touching meeting with an exquisite and vulnerable Marilyn Monroe at the twilight of her career, readers join Barbara on a thrilling journey through her five decades in Hollywood. But Barbara’s story is also an intimate and honest memoir of personal tragedy: a stillborn child with her first husband, Michael Ansara; a verbally abusive, drug-addicted second husband; the loss of her beloved mother; and the accidental heroin-induced death of her adult son, just months before his wedding. With candor and poignancy, Barbara reflects on the challenges she has faced, as well as the joys she has experienced and how she has maintained her humor, optimism, and inimitable Jeannie magic throughout the roller-coaster ride of a truly memorable life. Illustrated with sixteen pages of photographs, including candid family pictures and rare publicity stills, Jeannie Out of the Bottle is a must-have for every fan, old and new. Description from the Hardcover edition. * Gift wrap is only available for orders being shipped to an US address. We cannot gift wrap International orders. Gift Wrap Option 1: Mailing this item directly to the gift recipient? For an extra $2, you can send the book in a metallic gold bubble mailer. This mailer will be sent through the mail to your recipient. Inside the mailer will be your book -and- a packing slip. (If purchasing multiple gifts in one order that are all being shipped to same destination, all gifts may be put inside same shipping box. In that case, packing slip will be taped to outside of gold bubble mailer, so you know which gift it is.) Packing slip will NOT include prices. Merry Christmas! Enjoy the book! Gift Wrap Option 2: Whether mailing this directly to the gift recipient or to yourself to then bring to them yourself, this gift wrap option will make your gift truly magical! For an extra $5, your book will be wrapped in beautiful wrapping paper with a stretch loop and gift tag. Gift tag says "A Gift for You" on front side. Back side has a space to fill in whom the gift is "To" and whom the gift is "From." (If mailing directly to the recipient, please let Customer Service know and we will fill out the To/From for you. Otherwise, we will leave it blank for you to fill in yourself.) Gift wrapped book will be shipped in a postal box. Inside that postal box will be the gift wrapped book and a packing slip. (The packing slip is NOT inside the gift wrap with the book.) Packing slip will NOT include prices. Happy Birthday! Enjoy the book! PLEASE NOTE: The book is NOT SIGNED by Ms. Eden. If you are looking for an autographed copy of this book, click here.